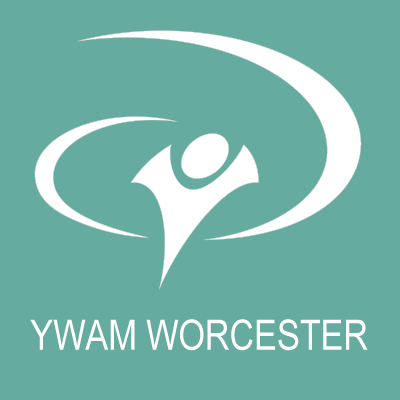 The following is YWAM Worcester’s policy with respect to its holding of personal information about staff, students or people who have contacted the organisation. In keeping with this policy, the YWAM Worcester Board of Directors has authorised the following statement to be placed on our website. The purpose of this statement is to provide information about the data collection procedures of YWAM Worcester. It lists what information is collected, why it is collected, how it is used, who it is used by, your rights, to whom it is disclosed and how to have information amended or deleted. We will take all reasonable steps to protect the privacy of any personal information in our possession. YWAM Worcester will take all reasonable steps to ensure that information we collect, use or disclose is collected by lawful and fair means, is accurate, complete, up-to-date and is kept strictly confidential either in an electronic database or lockable cabinets. YWAM Worcester acknowledges its role in protecting your privacy rights. Any information that is provided to our organisation is only used for the purposes for which you provided it. We will not use or disclose any information provided for a particular purpose for any other purpose without first notifying the individual concerned in writing. We primarily collect personal and non-personal information about our past, present and future students and staff members. Information is also gathered from other people who contact our organisation directly as well as contacts and organisations working in similar fields to YWAM Worcester and individuals with whom we have professional connection. Some of this information comes from third parties. Personal information is only collected on the request of the individual concerned. All information identified as personal is treated as confidential; this includes credit card details from third parties and government related identifiers. YWAM Worcester will not disclose any personal information to third parties unless the individual concerned provides indication via their signed permission that disclosure may occur. These third parties may be located in South Africa or international locations. If the User decides to opt-in to our mailing list or a mailing list of any of our training programs or ministries, they will receive emails that may include ministry news, updates, related opportunity or service information, etc. We may use third-party service providers to help operate our ministry and the Site or administer activities on our behalf, such as sending out newsletters or surveys. We may share the Users information with these third-parties for those limited purposes provided that the User has given us their permission. This permission is obtained when the User decides to opt-in to our mailing list(s). All persons or organisations for whom we have details recorded have the right to ask for a copy of these details free of charge at any time. Persons also have the right to update and/or alter their details at any time. In order to do so, we ask that they submit a ‘Request to View Personal Records’, which can be provided on request. YWAM Worcester will promptly remove the name of any individual from its database or mailing lists upon that person making such a request in writing, and will not make its mailing lists or any part thereof available to any third party for their use. No third parties can access personal files without written permission from the individual whose information has been requested. Requests will be processed by YWAM Worcester within 30 days with a written notice of explanation in cases of refusal. Personal information collected will not be disclosed, nor details altered until your identity has been confirmed. All persons contacting our organisation have the option of remaining anonymous but it may prevent them from participation in activities that we run. YWAM Worcester will make every reasonable effort to ensure that children’s privacy and other rights are respected and not compromised. It is however, ultimately the responsibility of parents to monitor their children’s internet, phone and our communication technology usage. With the exception of an independent minor, underage participants cannot access or change personal information without parent/guardian consent. However, the User may prefer to disable cookies on this site and on others. The most effective way to do this is to disable cookies in the browser. We suggest consulting the Help section of the browser or taking a look at https://cookiesandyou.com/ which offers guidance to achieve this for all modern browsers. Our website may contain links to other sites. Other sites may also have links to our site. Please note that YWAM Worcester cannot take responsibility for content, privacy practices or business practices at these external sites. For further information about the management of your personal information or to access or change personal information we hold about you, please contact us using the contact details below. To register an issue in relation to the way that YWAM Worcester has dealt with your privacy, please contact our Registrar office who will address your concerns promptly and advise you of your rights. If requested, a ‘Complaints and Appeals’ form can be provided and will be processed within 10 days of submission. If you are dissatisfied with the outcome of your appeal, you can make a complaint to the relevant government department. This policy was last updated on 06 August 2018.